The Blue Nile Lily. 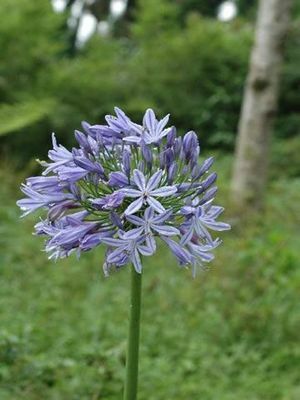 Blue flowers in large umbels borne on stems over 3 feet tall and good for cut flowers. Cold hardy and makes good subject for pots and rockeries.